When Howl’n Dog sets up your email service you will be provided the necessary login information for your account. 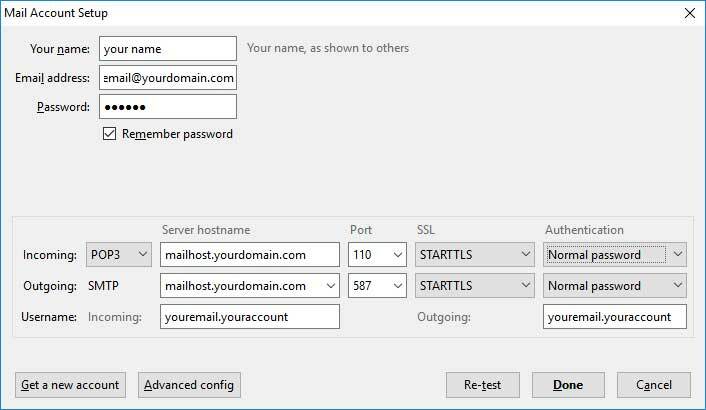 The default mail setup uses mailhost.constantdatacenter.com as the POP3, IMAP and SMTP servers. 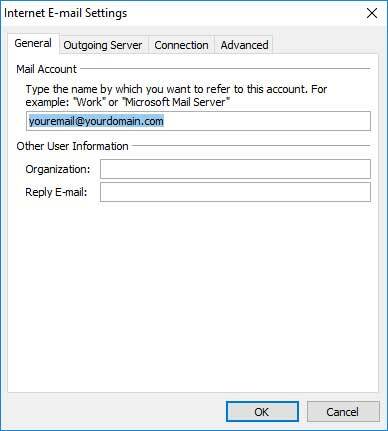 For an additional fee you can choose to set up an independent mail server (i.e., mailhost.yourdomain.com). 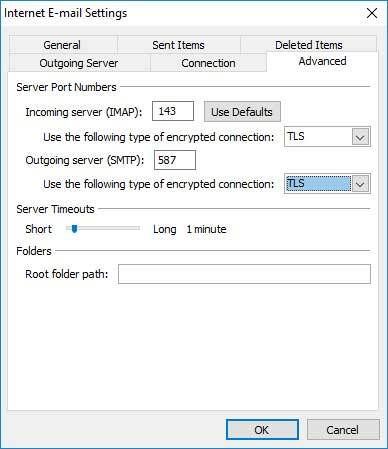 This does require a unique IP address for the server and a domain specific security certificate for the server.. 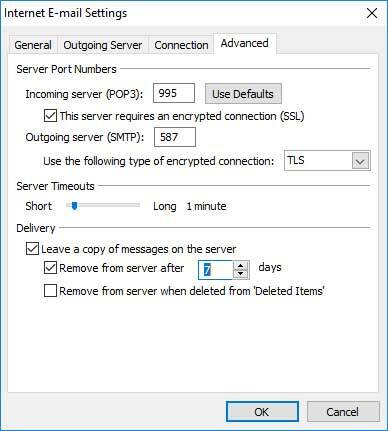 The following guides you through the set up parameters for Outlook and Thunderbird. 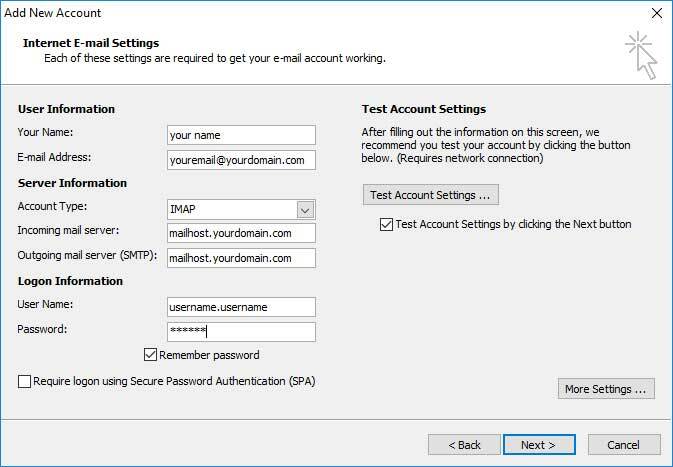 If you are using another email software program, please check the instructions for setting up your software. Use your email account id and password to log in. Check “Manually configure…” and choose next. 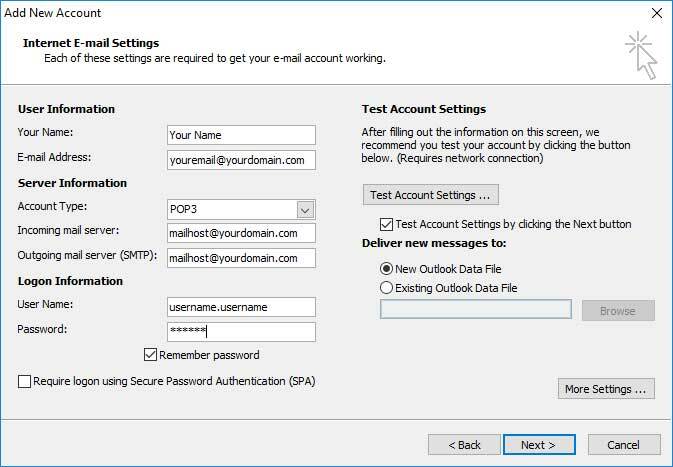 For IMAP Accounts: Please be aware that Outlook does not play well with IMAP accounts. 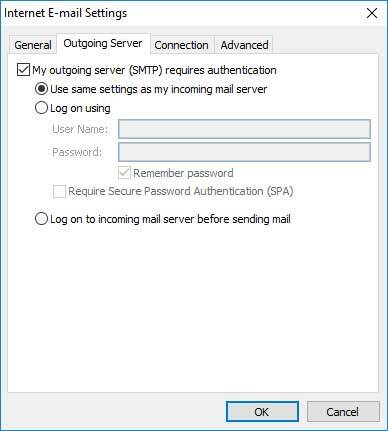 If you choose to use Outlook with an IMAP account you will encounter problems which may result in the lose of all mail data on the server. 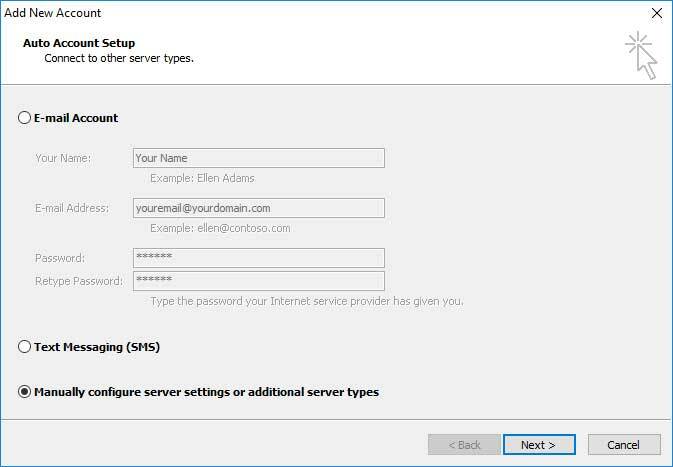 Setting up Thunderbird is pretty easy using the account setup wizard. 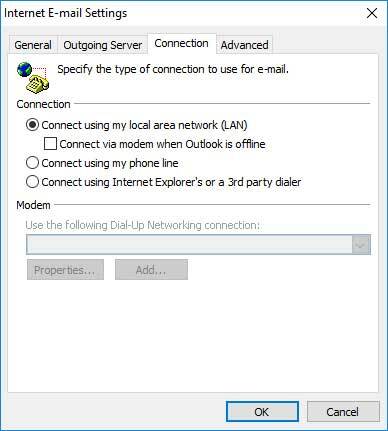 All of the settings are in one pop up window. 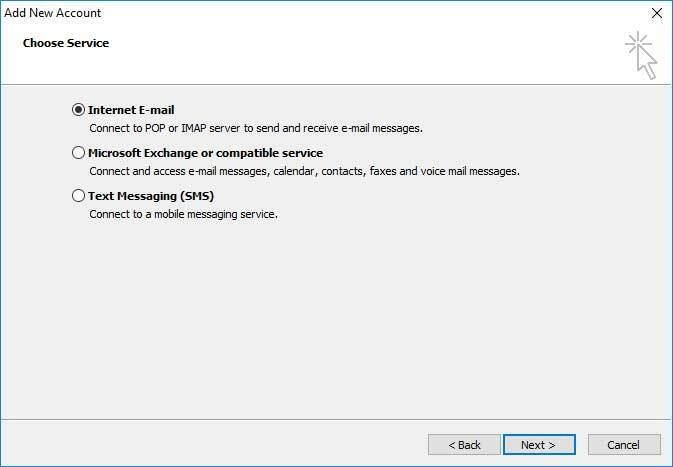 IMAP setup requires only a port change.